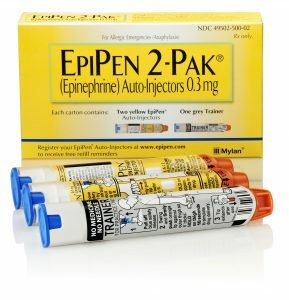 Mylan, the maker of the EpiPen, the hyper-allergy protection device, hasn’t gotten itself out of the public fire over its decision to jack up its product prices. Instead, the continuing revelations about this company, its product, and schemes is providing some blood-boiling information about the avarice and mendacity that seems almost integral to Big Pharma and its relentless push to stick it to American patient-consumers. Journalists have surfaced more news about the role that insurers and their allies play in soaring drug prices. Yes, part of the public anger can be traced to parents struggling with high-deductible insurance plans. But new attention has focused on prescription benefit managers (PBMs), giant operations that seek to aggregate the market power of small companies, insurers, and, yes, consumers in negotiating prices with drug makers like Mylan and with providers like pharmacies. It has become critical for drug makers to get on the PBMs’ approved medication lists, for them to be allowed to provide product for distribution to their customers. This has turned into a lucrative slice of health care, with companies like Express Scripts, CVS Caremark, and Optum Rx becoming big, influential, and profitable. But, analysts say, the PBMs also distort the system, because they play drug companies off each other, try to keep pharmacy fees low−and they make a lot of money by keeping medications cheaper for members, in large part by extracting rebates for themselves from the drug companies. The higher a drug’s cost, the more the PBMs’ rebates, and the three organizations that dominate 70 percent of this niche don’t disclose how much they get in these kickbacks. But their profits keep zooming upward, particularly since they are middle-men and bear no costs for expensive drug research, development, or distribution. Now lest anyone feel the least bit bad for Big Pharma executives, reporters have found that Mylan’s chiefs, as might be expected and is common in the corporate world, participated in an aggressive rewards program: the greater they could maximize their firm’s profits, the more richly they would be awarded, with the top five execs vying for slices of a pot worth as much as $82 million. Mylan’s CEO already is hauling in $18 million to $24 million annually. Is it surprising what hot flames of public perdition that dollar-seeking corporate chiefs might leap through to get their divvy of such lucre? What may be more surprising, as some public policy researchers have pointed out, is the strange silence that has enveloped supposed patient-consumer advocacy groups, those who claim to speak to power for those with severe enough food allergies or conditions like asthma to require the life-saving dosages in a now costly EpiPen. The researchers note that Mylan lists a number of such groups as “allies” in a 2015 corporate report, in which the firm noted that it has distributed since 2011 roughly $10 million for policy shaping, patient advocacy, and education. Of course, this all may be quibbling and away from a central point that the EpiPen case has made clear: Drug companies raise prices because they can. They’ll do what they can get away with (though Mylan’s stock is taking a hit with all the negative publicity). The United States is the only Western industrialized nation that has unfettered markets for Big Pharma, and even with talk of the virtues of competition, drug prices will soar as long as Americans allow them to. As I’ve written before, it’s past time for all of us to let regulators, policy-makers, politicians, and Big Pharma know that we’re mad as ned and we aren’t going to take it anymore. It’s one thing to make a reasonable return, it’s another to profiteer and plunder. This isn’t the American way.